Our history, forestry management approach, and business practices are deeply rooted in respect. Find out why contractors and architects are choosing our sports floor systems around the globe. Our permanent systems for anchored resilient, floating and parquet sport floors surpass our customers’ expectations and enable sports players to be champions. Indoor or outdoor, permanent or portable, polyurethane, epoxy, vinyl or rubber, we work with you to identify the best floor system for your facility. Our portable system offers a unique, interlocking panel system and makes assembly and breakdown quick and easy. Putting a quality sports floor system in project specifications is an important decision. But, which synthetic product is the right choice? This exclusive e-book provides expert advice and real-life examples to aid architects in decision-making when designing for K-12 schools and colleges. Action Floors is a premier supplier of wood sports flooring, synthetic sports flooring and commercial polyurethane and epoxy flooring. 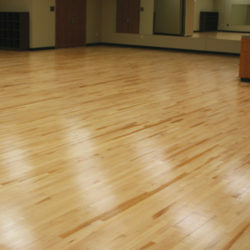 We specialize in hardwood arena flooring as well as provide options for your multipurpose sports floors and synthetic flooring for schools.